through life with a bit of help and guidance from your spirit guides. 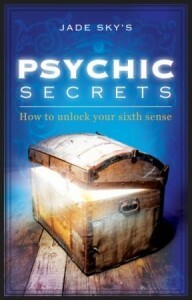 Jade shows you how to develop your sixth sense and become attuned to the spirit world. Jade-Sky is a Psychic/ Medium who is a “direct channeller”, she was born with a special gift of being able to connect clairvoyantly with the energies of deceased loved ones and spirit guides. 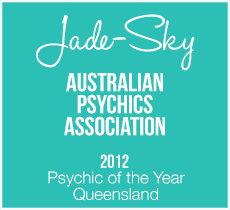 Jade-Sky’s clientele has covered a wide range of people from all walks of life, and various parts of the world, testifying to her genuine, accurate psychic ability. Jade-Sky has appeared on stage in Brisbane, Sydney and Melbourne with the Mind, Body Spirit festivals and has been been on radio nationally. During a reading with Jade-Sky she passes on messages from departed loved ones and Spirit Guides. Jade-Sky uses her psychic gift with a mixture of clairvoyance, clairaudience, mediumship, psychometry ( holding an object and feeling the energy of the person it belongs to) and photo reading. In a typical reading people often ask questions about love, health, family, career and life direction or even connecting with a passed loved one or pet. Mediumship is Jade-Sky’s passion this is a special area and she takes great care to deliver exact names, dates, career’s, personal information to you to let you know who she is connecting with in spirit . To learn more about Jade-Sky please click on about Jade. 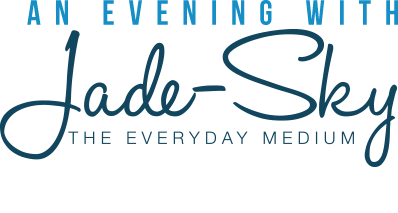 Please feel free to click on the topics on the left hand side of the page. If you wish to contact Jade-Sky please phone Richard 0400345113 or email her.